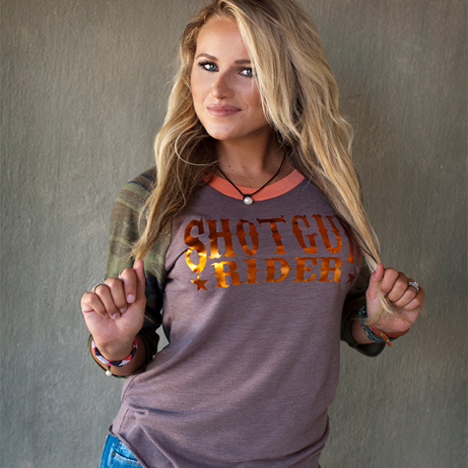 Whether you're working out or enjoying a casual day at work, this Shotgun Rider camo T-Shirt makes a comfy addition to any outfit. This camo baseball T-Shirt contrasts with an orange print and collar. Keep your clothes on the country side with a fun shirt and a sassy attitude.